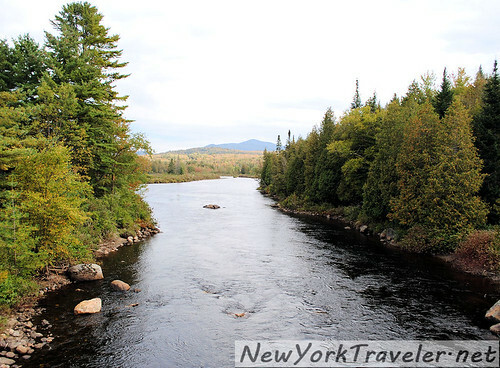 You’d never guess it walking along the West Side in Manhattan, but the cloudy, brackish waters of New York City’s famous Hudson River begins in the clear mountainous forests of the Adirondacks some 300 miles north. 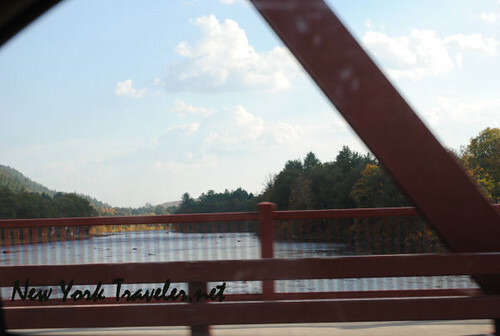 These photos were taken near Newcomb, New York. The Hudson River starts about 10 miles north from this point, at Lake Tear of the Clouds. Photo is public domain, taken by Seneca Ray Stoddard. 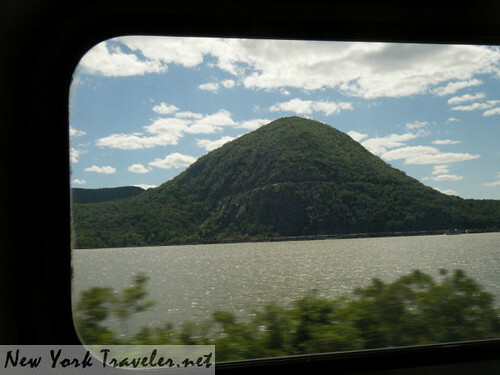 The Hudson River is New York State’s longest river at 315 miles, winding its snaky way down the Adirondacks high peaks to New York’s capital city, Albany, down to New York City where it empties into the Atlantic Ocean. 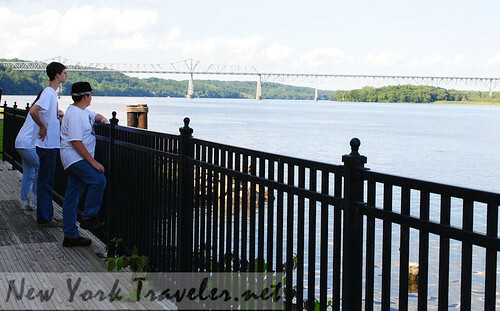 The Mohawk River, New York’s second largest river, is the largest tributary to the Hudson at 140 miles. 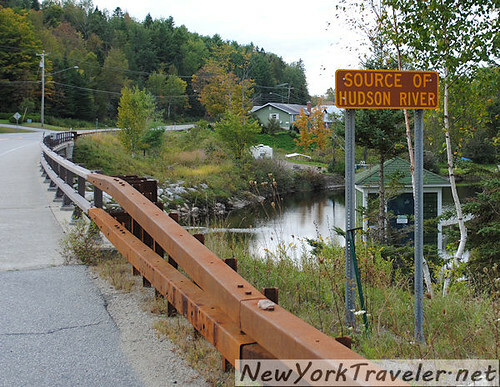 Here’s a shot of the Hudson very near to its headwaters. I can’t remember exactly where this was, but it was north of Newcomb near Henderson Lake. The Hudson River in Catskill, NY. 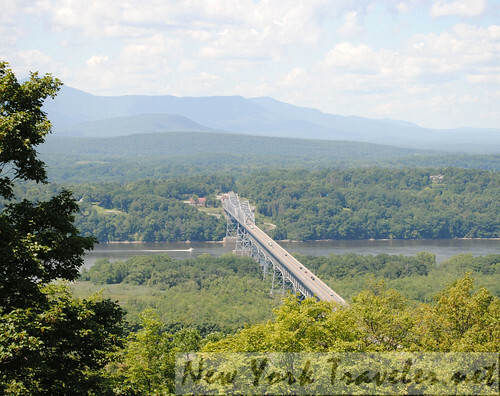 The Rip van Winkle Bridge over the Hudson near Catskill, NY. Photo taken from Olana Historic Site. 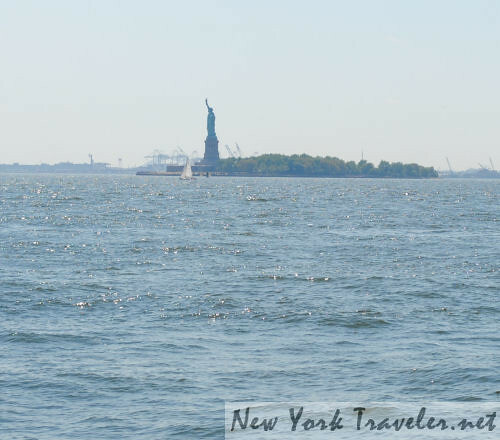 The Hudson drains into the Atlantic Ocean at New York Bay. Every schoolchild in New York learns that the Hudson is named for the famous British explorer Henry Hudson, who sailed in 1609 on behalf of the Dutch on his ship Halve Maen (Half Moon). He was searching for the Northwest Passage, a speculative (and, as it became known, nonexistent) waterway through the American continent from east to west. Hudson’s discovery and exploration of the Hudson River paved the way for Dutch claims to the land and Dutch settlement from New York City (then called New Netherland) to Albany.